This photograph, taken by Dorothea Lange, shows Florence Owens Thompson and her children in February or March of 1936 in Nipomo, California. 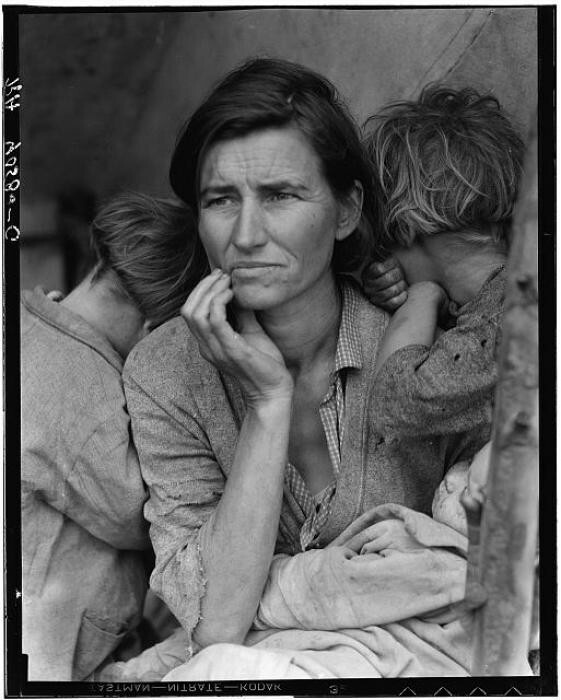 Lange recounted later, "...There she sat in that lean-to tent with her children huddled around her, and seemed to know that my pictures might help her, and so she helped me. There was a sort of equality about it."